The Amber Wedding Anniversary sampler is easily adapted for any anniversary year. 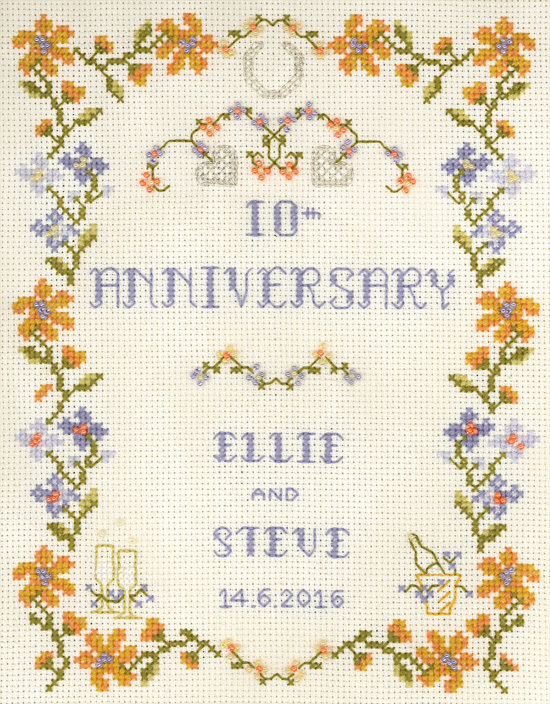 This design has a border of floral garlands in vibrant spring colours of amber and amethyst. Horseshoes and hearts are stitched in silver metallic thread. A champagne bottle in an ice bucket and sparkling flutes embrace the theme of celebration. Glistening amber, blue and cream beads embellish the flowers to add depth. The design has a flowing border in gentle pastel powder blue and pinks. Horseshoes and hearts are stitched in silver metallic thread. A champagne bottle in an ice bucket and sparkling flutes embrace the theme of celebration. Glistening amber, blue and cream beads embellish the flowers to add depth. 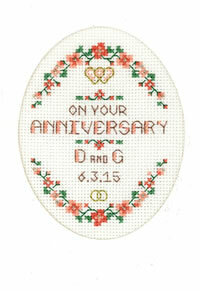 An Amber Wedding Wedding Anniversary sampler for any wedding anniversary. 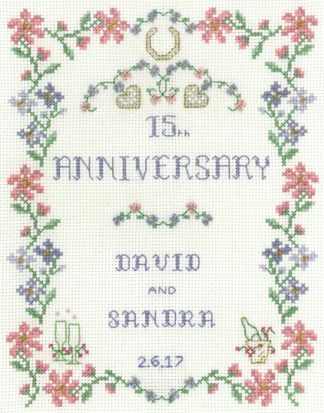 This Any Anniversary cross stitch kit has only the best quality materials ~ Zweigart fabric, DMC thread, metallic threads, Mill Hill beads, needles. 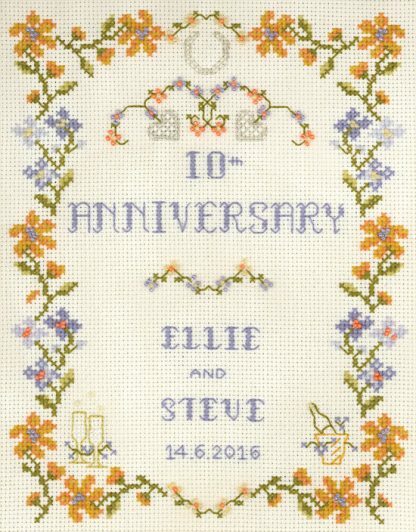 This Amber Wedding Anniversary Sampler kit is from the Decorative Textiles collection.